Wow! 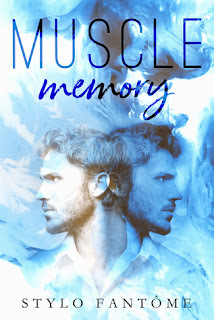 Muscle Memory is one unique story. The way Stylo flips between past and present keeps you intrigued and flipping the pages. This book is a slow burn. A really slow burn at times, it was a bit too slow for me. Don’t get me wrong there is a reason for the slowness, I understand that, personally I needed it to move a little faster. The love between Jayson and Delaney is magical. It’s been a while since I’ve read a book where you can feel the love. I liked the scenes in the past the best because of their love, chemistry, and deep connection. I had a hard time with the present scenes. Kitty just rubbed me the wrong way from the beginning. I felt a disconnect between her and Jon’s characters. I desperately wanted him to remember his past, to remember his love. Overall the book was great. The writing is solid, some of Stylo’s best. I personally just need a little bit more. I’m not sure what of exactly, just a little more.